We all invite guests and relatives in the birthday or other celebration party. But many times, if the party is not so big and we’re not inviting more guests for the occasion, then you don’t need to print invitation cards from any publisher for such a small event. Actually, you can do it yourself in less than 5 minutes. Yes guys, there are several online web places where you can design free printable invitation cards very easily. After using these websites, you’ll feel yourself that any invitation card publisher can’t do it like you. So, you’re the best and once you’ve got practice then you can also start designing invitation cards for big events. Now, have a look on these awesome and beautiful places to design free printable birthday party or other occasion invitation cards online. This website is really what you are searching for! It lets you design free printable cards very simply and fast. Here, you can design free printable invitation cards for several occasions such as Anniversary, Birthday, Cheer Up, Wedding, New Baby Party and more. Not only this, the website also allows you to send online invitations through eCards. The best thing about this website is that it never ask you to log in or sign up. In other words, you don’t need to register here like as other websites. So, start creating very beautiful cards online without any effort. American Greetings is quite similar to Greetings Island but may not be that feature rich. American Greetings also enables you create free printable invitation cards for several occasions such as Anniversary, Birthday, Get Well Party, New baby party and more. 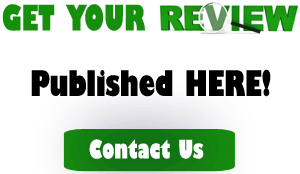 It also provides the facility to post, share and send innovative eCards online. If you don’t want to print cards, then you can create eCards to send them online to invite your friends and relatives. The bad thing about the website is that you’ll have to register here to print your designed invitation cards. Smilebox is all about invitations, collages, slideshows and scrapbooks etc. Smilebox allows you to use itself as Digital Studio and Print Studio. You can design any invitation card, ecard and more with digital studio and set the appropriate music with your card. In printable format, you can personalize its printable artwork with your photos and text and after creating your own card, you ca print in for free. The only thing is to remember is that you will have to register on Smilebox to print your designed invitation cards or to send eCards. The Smilebox also provides some other services such as to create slideshows, scrapbooks and Facebook covers etc. Spoonful is a awesome family fun website that is made for kids and parents. It provides crafts, recipes and different activities for kids and parents. Here you can create art, crafts and inspiration, play activities and imagination, celebrate holidays and parties etc. This websites enables you to create your own printable art works and invitation cards for different occasions and you will also fins several ready-made invitation cards just for download free of cost and still you don’t need to sign up for that. MesCards is another average website that enable you to create printable invitation cards for every occasion. 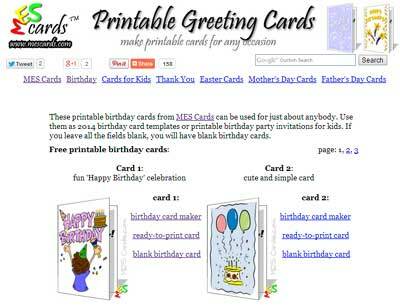 This website provides you invitation card maker and blank birth day cards to download. You’ll find here several ready-to-print cards to print directly. It’s a very simple looking website where you can easily create invitation cards and print them at your home. So, also try it out for a different experience. If you’re feeling problem in selecting a best one, then just think about my ranking mechanism. I just ranked these sites according to the post title not the popularity. All these website provides you the facility to design free printable invitation cards for different occasions such as birthday party, anniversary, wedding etc but the first third websites are the best. There are also several premium websites that charge some money to design printable invitation cards such as Tinyprints.Com etc. One should also try Celebration Templates, an online store that enables you to download templates for every occasion like birthday, wedding, graduation party invitation, baby shower, and many more.